November 2015, members Daniel Masbad, Logan Smith, Artistic Director Sue Cryan and Noah Soto, performed for members of the Rotary of Flagler County, and their guests. 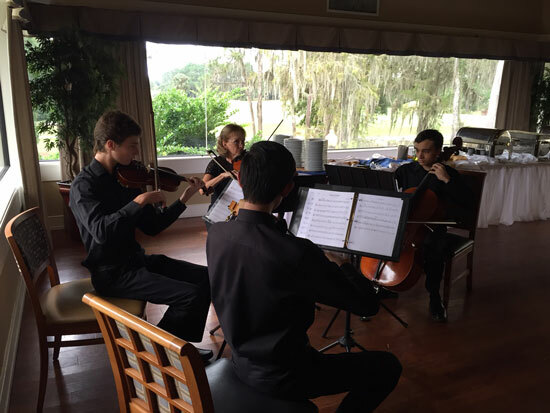 For the third year in a row, members of the Flagler Youth Orchestra String Quartet will provide musical entertainment at the Rotary of Flagler County’s Veterans Luncheon on Tuesday, November 8th, 2016 at the Pine Lakes Golf Club. Invited veterans from all branches of the armed forces will be in attendance.